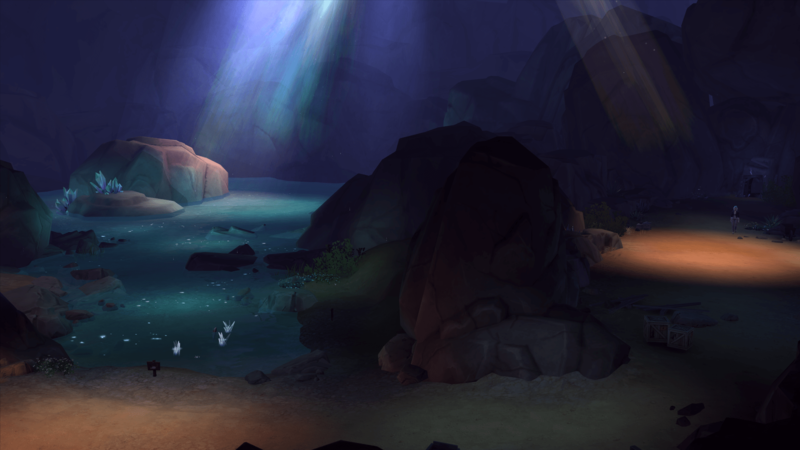 The Sims 4 developers love to give the creative Sims community little easter eggs in the form of secret areas! 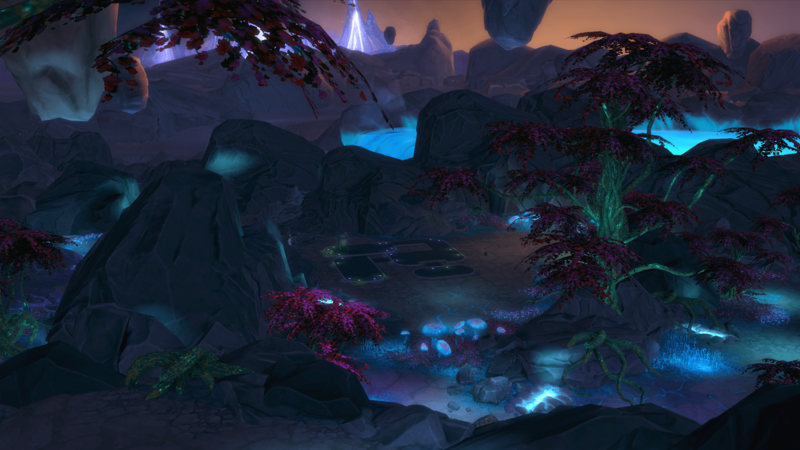 Here we’ve listed 4 hidden areas and how to find them. Take your Sim on an adventure without the need for Sims 4 mods or cheats. 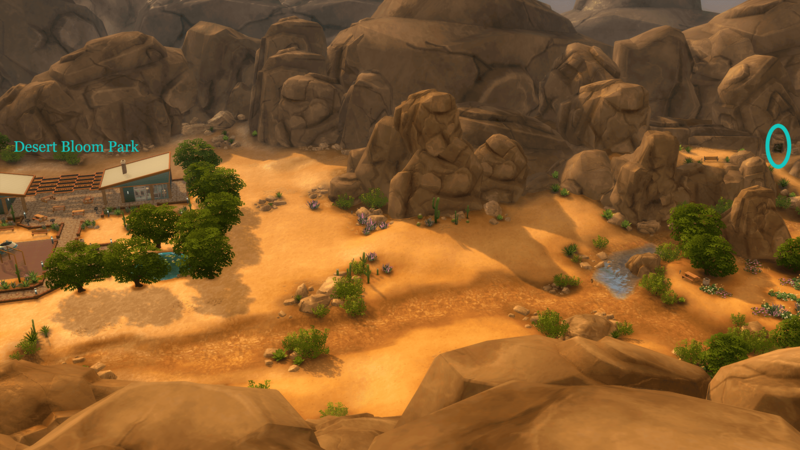 Further, 2 secret areas are from The Sims 4 Outdoor Retreat and The Sims 4 Get To Work expansion packs. Send a sim to Crick Cabana lot in Willow Creek. Look for a strange, special tree with glowing mushrooms and fungi in the large space next to Crick Cabana lot. Click on the shiny Sylvan Tree to use the ‘view’ option. Do this repeatedly until new interaction options appear. Continue interacting with the tree until a secret door appears in the tree trunk. Click the tree trunk door to enter the tree and answer the questions to transport to Sylvan Glade. 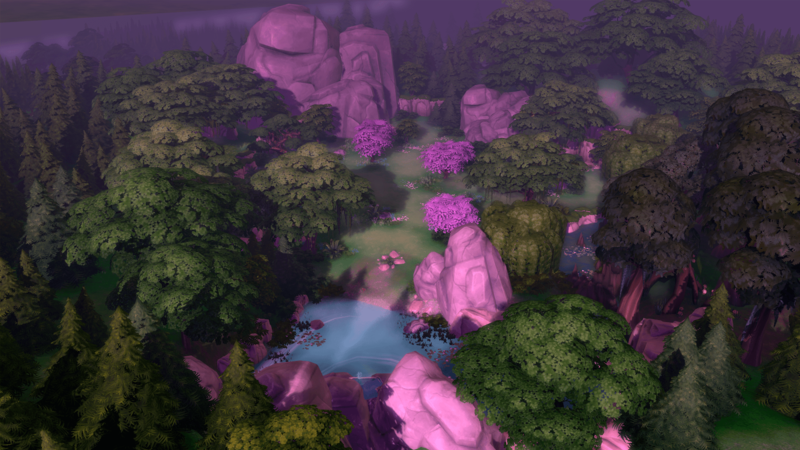 Once inside the Sylvan Glade, your sim can explore the glowing trees and luminescent flowers. Harvest flowers, fish in the strange pond and look for the bushes with creepy glowing red eyes and children’s laughter. 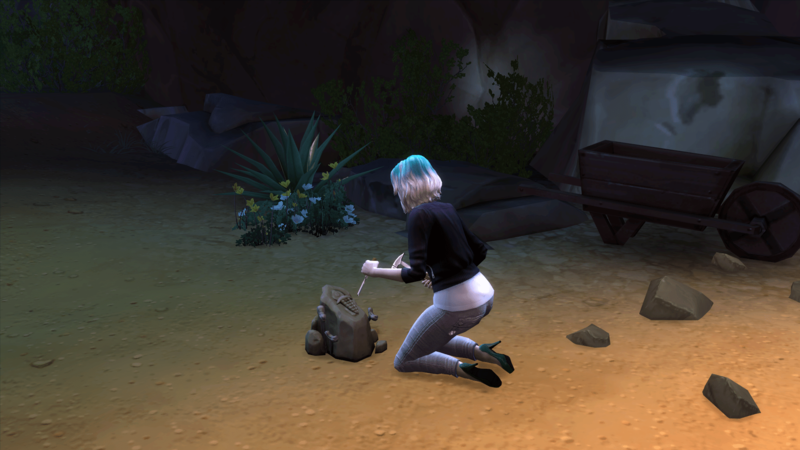 Sims can also find new collectibles like toads including the trip master Hypnofrog and fish up the Voodoo Doll or Cowplant seeds from a mysterious pond. The fruit trees in Sylvan Glade can take a long time to become harvestable. 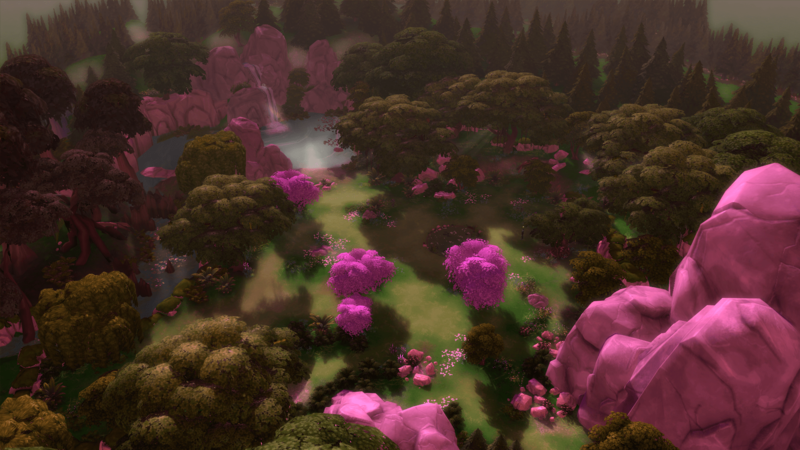 However, by using the fillmotive motive_[motivename] cheat your Sim can stay in Sylvan Glade for days until the trees bare fruit. In our tests, it took 4 full days before the trees spawned fruit. Tip: Question answers are Follow the Sound, Follow Downstream, Enter the Mist, and Travel to Glade. Send a sim to the Desert Bloom Park or Affluista Mansion lot. 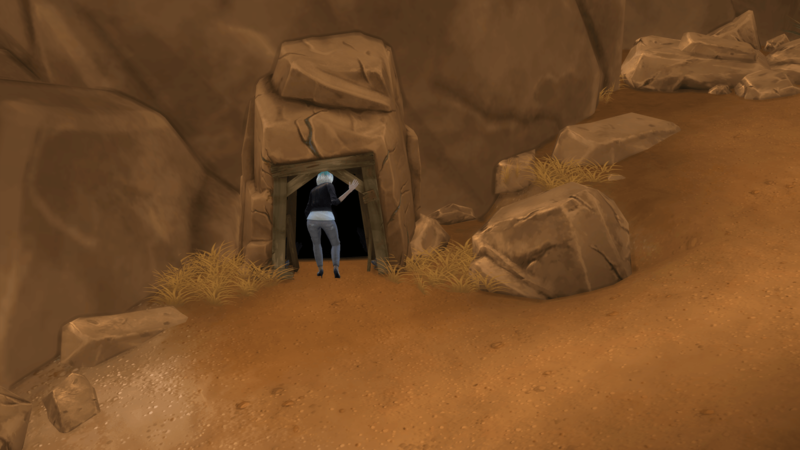 Explore until you find the mysterious abandoned mine shaft door that leads to the grotto. Since your sim is handy (level 10) click on the mine shaft to open the entry way with your handy hammer and enter The Forgotten Grotto. Now that your sim is inside The Forgotten Grotto the adventure begins and Batman impersonations begin. Explore the grotto and harvest plants (Potato, Sage, Mushroom, Lily, and Onion), dig for minerals and catch some new fish. Tip: Question answers are Wide Path, Climb Ladder, Step onto Ledge, and Travel to Grotto. 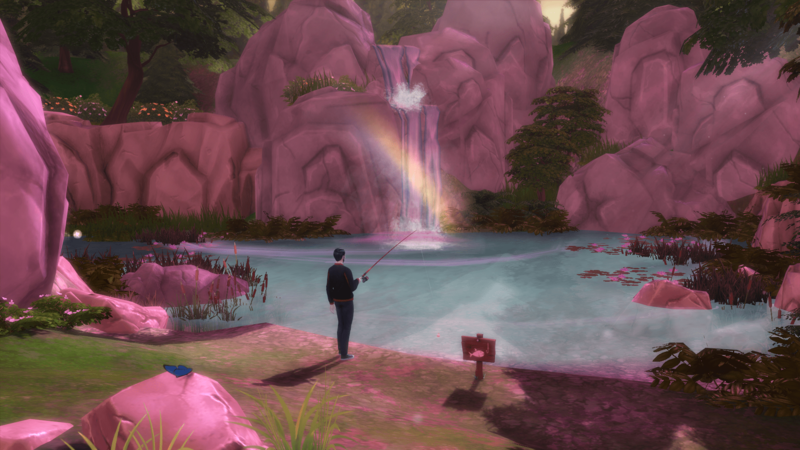 Send your Sim on a vacation to Granite Falls using the phone. 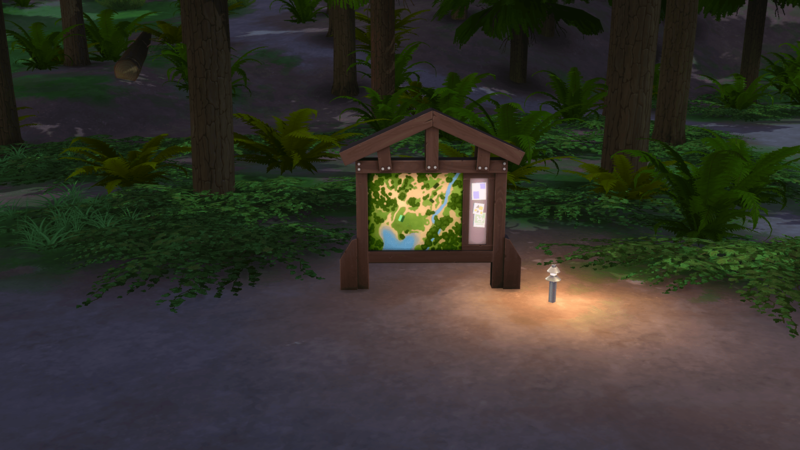 Once you arrive in Granite Falls head to The Forest. 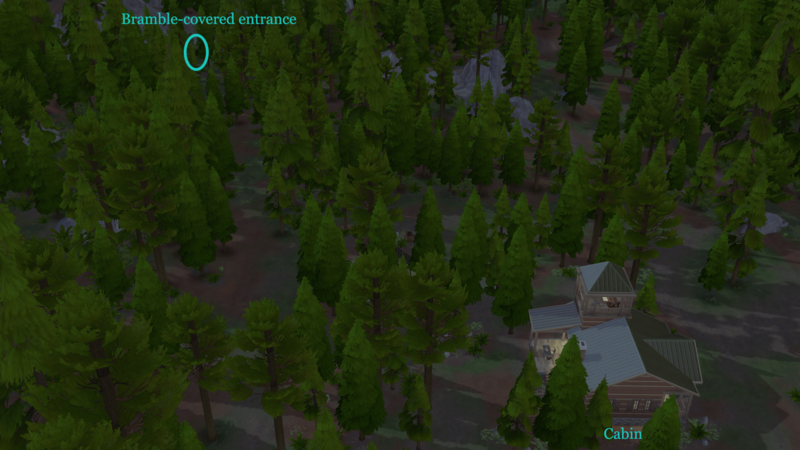 Zoom out to find the cottage/cabin on the map and head there. From there you will head through the forest to find the bramble-covered opening to The Deep Woods. Take a look at the picture below for a guide to where the opening is. Once at the opening Explore the opening and answer questions to enter The Deep Woods. Inside The Deep Woods area are woods surrounded by rugged mountains and a beautiful waterfall. 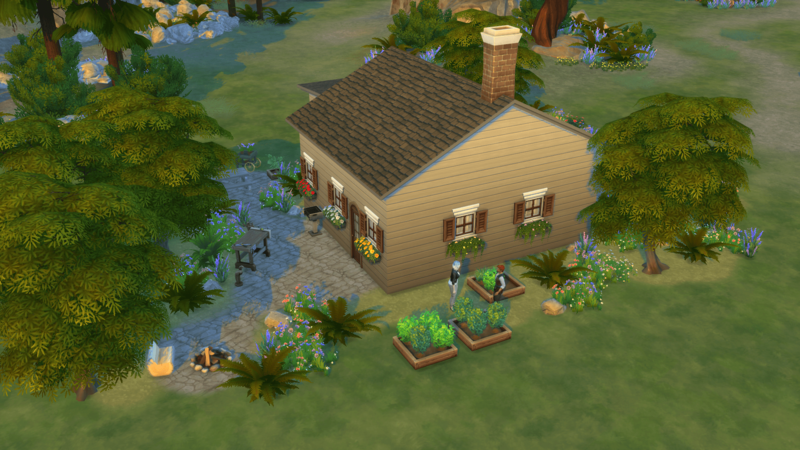 Here your Sim can participate in activities such as fishing, catching insects, camping, meeting the hermit at their house and harvest unidentified mushrooms, fruits, and herbs from the hermit’s garden beds. Tip: Question answers are Step Forward, Keep Walking, Sally Forth, and Travel Towards the Sim. Make a sim join the Scientist career track and work hard until your Sim is getting at least 11 breakthroughs. This happens at level 6 Scientist and gives your Sim the idea to invent a portal (Electroflux Wormhole Generator). Work until your Sim reaches level 10 in the Science career track and you have the option to upgrade your portal. Once upgraded your Sim can use the rocket upgrade/portal to shoot off in your Rocket Ship to Planet Sixam! 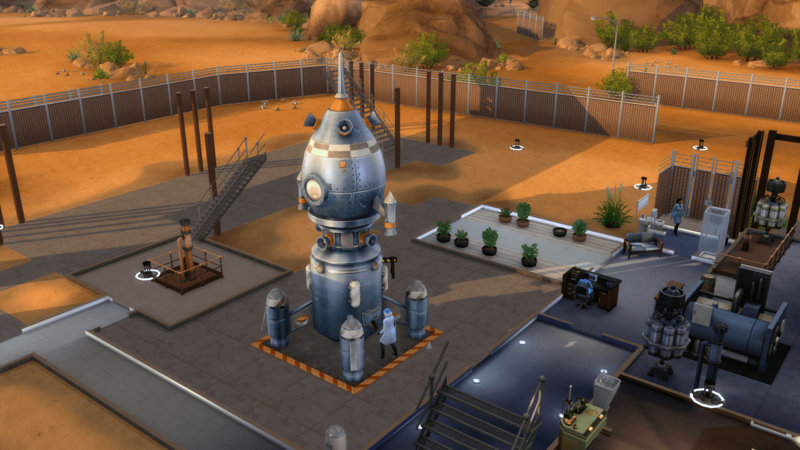 Get your Scientist Sim to build a rocket ship at home. 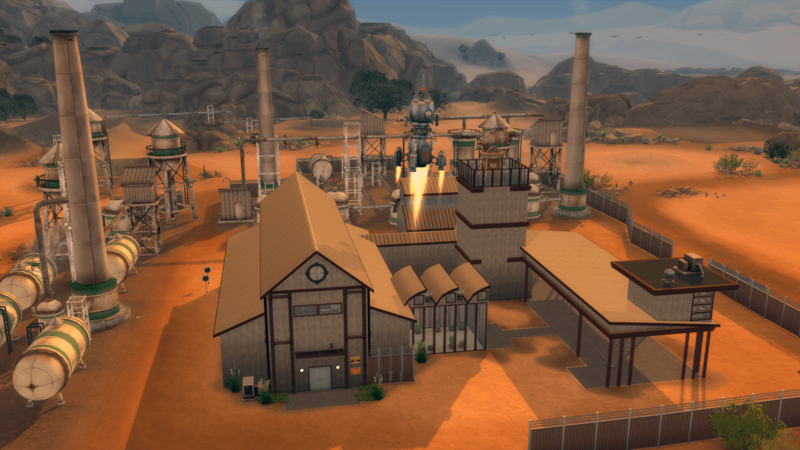 Increase your Sim’s Rocket Science skill to level 10. Upgrade your rocket by installing a Wormhole Generator. Blast off to Planet Sixam in your home built rocket ship! At Planet Sixam your Sim can meet aliens, find small alien creatures, harvest 3 new types of edible space plants (Fang Flowers, Glow Orbs, and Quill Fruits), and dig for new minerals like crystals and geodes. 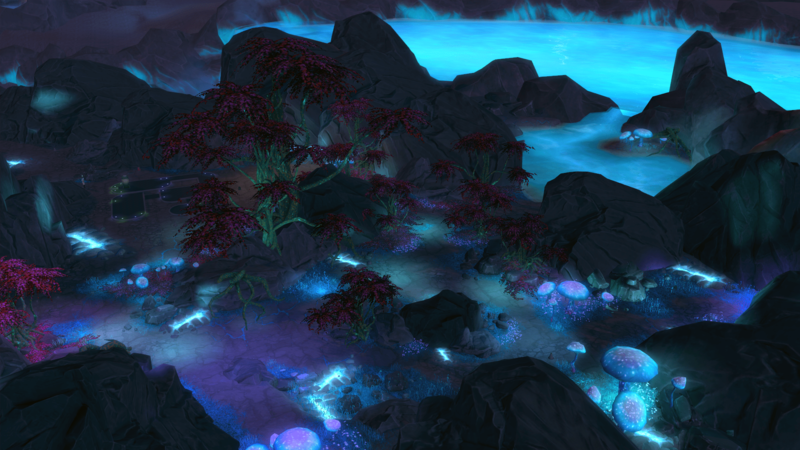 Make sure to explore the glowing, alien planet and check out the new surroundings with your adventurous Scientist Sim. Check out our The Sims 4 Cheats, Codes, and Tips guide for a little boost through some of the tasks required to visit these hidden areas.